Machine learning, artificial intelligence, and predictive scoring are just some of the buzzwords flying around the data science industry these days. All of them are based around the idea that machines and algorithms are able sift through the massive amounts of data that we are collecting on our business, sales processes, services, etc. and give us recommendations and insights into what to do next. According to Gartner, 40% of data science tasks will be automated by 2020. This is actually far from a new concept. In my first IT job as a CRM administrator at the Scandinavian headquarters for one of the largest software companies in the world, we used an artificial intelligence feature for one of our enterprise solutions referred to as “neural networks”. The benefits of using these neural networks then was very similar to the benefits of using machine learning and AI in our business systems today. That was 17 years ago and the cost of entry for getting these insights was astronomical. It was so difficult to get your processes and data into a state of maturity to take advantage of these features, that few ever did. Even after almost two decades of working with CRM systems, machine learning and the AI insights have remained elusive. It can be argued that back in 2000, using AI in enterprise or business applications were a premature technology. Sure, the math to perform the calculations was there, but the supporting software, hardware, and not to mention the people – were not. For a flashback there’s an article from Forbes published the summer of 2000 claiming that AI is all hype. Turns out they were right at the time, but all that was about to change. Recently, services like the Azure Machine Learning Studio (Azure ML) have made the barrier to entry significantly lower from a technical perspective. There’s still, as mentioned, a human component that needs to catch up. Tools like Azure ML makes it possible for most people to add data to a machine learning model, work with training and test data, apply it as a service, and see some actual results. Data scientists and those who have worked with machine learning in the past can’t stop talking about how easy it is to use. However, you do need to have a solid understanding for how machine learning actually works in order to get the right results. For example, will you pick a multiclass logistic regression, or a multiclass neural network to predict which services your customer might choose. There’s a reason the data scientists are called data scientists. Scientist is the key term in that title. Few would probably label themselves a chemist just because they have access to a lab or saw Breaking Bad on TV. Who is a Citizen Data Scientist? A data scientist’s work includes a great deal of research, testing and fine tuning models, and a passion for selecting the proper algorithms for answering the questions you have at hand. While the barrier to entry may have lowered significantly, the considerations on what to do with your data and how to properly apply machine learning have not, and it is likely keeping a lot of people from venturing into that world. After all, only few organizations today actualy employ data scientists to handle these critical tasks. While Microsoft has already made machine learning significantly more approachable to a wider user base, they are about to change the game again and bring about the rise of the “Citizen Data Scientist”. As defined by Gartner, the Citizen Data Scientist is a person who creates or generates models that use advanced diagnostic analytics or predictive and prescriptive capabilities, but whose primary function is outside the field of statistics and analytics. The Citizen Data Scientist is not like the controversial Citizen Developer, which actual developers have a complicated relationship with depending on how much messy code or broken features they must clean up after someone without the proper knowledge tried to develop something in their system. I consider the Citizen Data Scientist to be exclusively a good thing, and the reason for this is Microsoft’s new Azure service called Customer Insights. Customer Insights allows administrators and those in similar roles to replicate their Dynamics 365 customer engagement data, data from social media via Social Engagement, along with other sources to a database in Azure. It is worth paying attention to the fact that Customer Insights is based on a graph database; graph databases are a huge topic in itself, but the relevance here is that graph databases are designed to help model and explore a web (or graph) of relationships in a more natural and productive way. A common query in graph databases could be to find all objects or activities related a customer two links away. As a user of Customer Insights, you fortunately do not need to know about graph databases. The interface handles this for you, but it is good to know that your data is stored in a model that is designed specifically for what you want it to do. With Customer Insights, the Citizen Data Scientist is now able to use tools like Predictive Scoring to create advanced machine learning models simply by stating two outcomes. For example, predict the risk of a losing a given customer and create a list of the top signals that predicts loss. All the Citizen Data Scientist would have to do is tell Customer Insights which accounts were lost and which were retained. In Microsoft Dynamics 365, that could be as simple as specifying Accounts of the type Customer for the positive outcome, and Accounts of the type “Lost” for the negative outcome. Customer Insights will then go through all the data regarding the Accounts, look through all the related data up to two levels out. So, not just records directly related to the customer, but also who managed the service cases for the account. As a result, the Citizen Data Scientist will be given a score for each customer of what the risk of churn is along with a list of the top signals that indicates a churn is coming. Those signals could be a decrease in communication, fewer orders, worse ratings, etc. All that was needed was asking the question and defining the positive and negative outcome. No need to worry about selecting either two-class Bayes point machine or the two-class logistic regression algorithm for your model. Customer Insights will select the right algorithm for you. 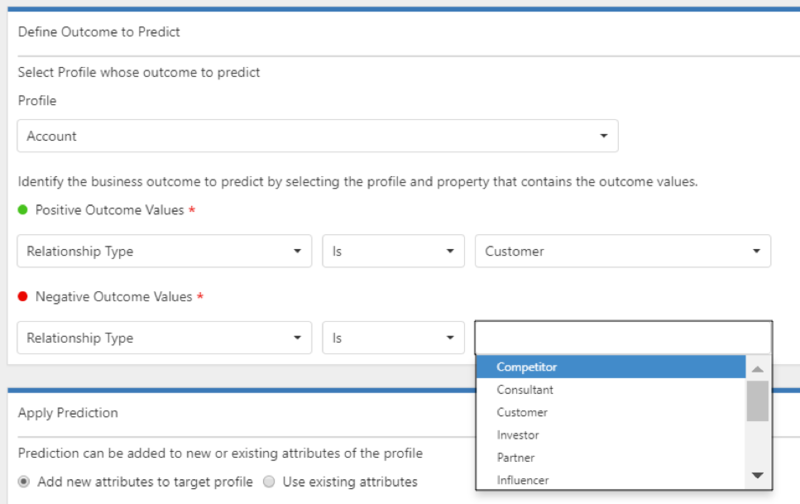 In addition, Customer Insights will also figure out which data is relevant to include, so you don’t have worry about what to include in your data set. The task in the future will be to ask these questions and specify outcomes – not worrying about selecting the correct algorithm, selecting the right data for training your model, or the right data set for testing the model. While I did say that the Citizen Data Scientist was exclusively a good thing, there is an obvious question and concern. How will this everyday business user stack up against a real data scientist? Only time will tell on the exact results, but given the information currently available, a data scientist who invests the time needed could likely improve scores by a percentage point or two. Of course, this assumes you have access to a real data scientist to begin with. The Citizen Data Scientist is clearly cheating in this matchup by simply piggy backing on Microsoft’s team of data scientists. The results generated from Customer Insights will only improve over time and begin to close this gap. The type of insights and data intelligence that was so fascinating, yet highly elusive to me 17 years ago is about to become mainstream and something we can all take advantage of. 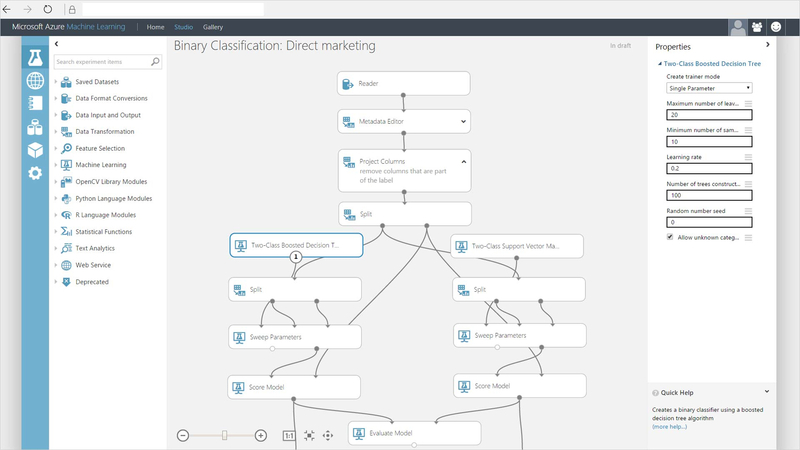 With Customer Insights, Microsoft is enabling all of us to become a Citizen Data Scientist and even smaller businesses can take advantage of machine learning in a manner that until recently has been reserved only for a very exclusive club. Ulrik is a Senior Solution Architect and Readiness Expert at Elev8 Solutions and Microsoft MVP. He known around the world for his wildly popular blog “The CRM Chart Guy”, Ulrik’s blog focuses on something in which Elev8 deeply believes – making the very most out of the native functionality already available within Microsoft Dynamics CRM and Dynamics 365. Ulrik is a respected thought leader and expert when it comes to business intelligence and data visualization, as well as a world-class trainer regarding Microsoft Business Solutions. Visit The CRM Chart Guy Blog.